What was first thought to be a potential disaster turned out to be a peculiar discovery. What was first thought to be a potential disaster turned out to be a peculiar discovery in the waters of the San Francisco Bay. The initial scare on Sunday afternoon was a report of possibly downed aircraft in the water near Emeryville. But it turned out the aircraft was a homemade submarine that was found to be unoccupied, according to the Alameda County Fire Department. 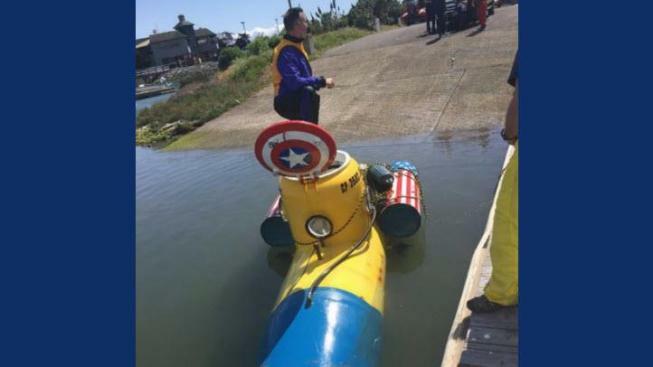 A rescue boat was eventually able to tow the yellow and blue sub to the Emeryville Marina. 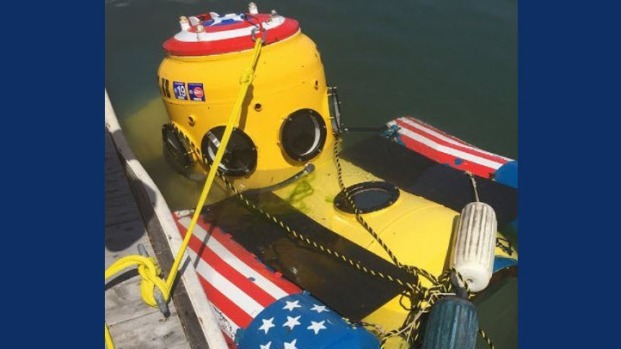 The vessel, which also happens to be capped by a Captain America-style hatch, was registered and labeled with up-to-date information, according to the fire department. Police later figured out that the sub had been stolen out of nearby Berkeley, according to the Emeryville police department. Emeryville police eventually got their hands on the vessel and transported it to a secure spot because the owner was not available to retrieve it.